There is a funny story from Marcelo Biesla’s time as Athletic Bilbao’s head coach, stemming from a post-match press conference after a league game against Villarreal. He was asked by a journalist if his habit of taking 13 paces through his technical area every time Villarreal attacked – a lucky number in South America, apparently – was coincidental or a matter of superstition. Bielsa thought about the question carefully. “What is coincidence is that when there’s such a nice game going on, somebody spends time counting my paces,” he said. The exchange is an example of the fascination with Bielsa’s mind and personality; the presumption that nothing is unintentional and everything is out of the ordinary. Leeds United players celebrate at Elland Road. There is little about his work at Leeds United which points to superstitious traits – he gave the club’s players one day off in August and most of them say they have never trained so hard – and the fact that the club’s win over Sheffield United last weekend was Leeds’ first at Bramall Lane since their first-division title win in 1992 is unlikely to matter to him. But there are other statistics, undeniably clear, which accentuate the strength of his side’s current position. 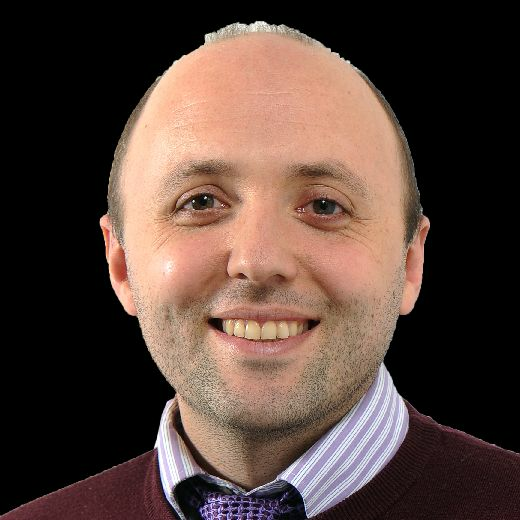 It is less about ranking for United – second of 24 clubs in the Championship, four points clear of West Bromwich Albion in third – than it is about their results over 20 matches. The established target of two points a match for promotion from the division is rarely contradicted and the recent history of the competition shows that clubs in that ballpark at this stage of a season have a 80 per cent strike rate in reaching the Premier League. Moreover, they have a near-perfect record of making the play-offs. Leeds are marginally short of two points a game, with 39 after Saturday’s win at Bramall Lane, but they are in good company with a total so high. In the years since the turn of the century, 29 Championship sides have held 39 points or more with 20 matches gone. Twenty-three were promoted at the end of the campaign and five were beaten in the play-offs. Only one – the late Graham Taylor’s Watford, way back in 2001 – finished below the top six. Watford were a flash-in-the-pan team that season, genuinely unstoppable for two months but held back by a remarkably bad run of eight wins from their last 31 matches. They tailed off into ninth as the bottom dropped out of their campaign and Taylor retired from management at the end of it, making way for Gianluca Vialli. List of teams with 39 points or more in the Championship after 20 games. Over 18 seasons Watford have been the exception to the rule. 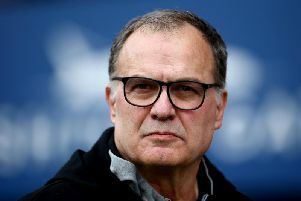 There were others who let automatic promotion get away from them – Brighton in 2016, Watford in 2008, Ipswich in 2005, Wolverhampton Wanderers in 2002 and Birmingham City 12 months earlier – but Bielsa has hit a benchmark which gives Leeds the chance they wanted when they threw a salary of more than £2m at him and made him their highest-paid head coach. That has largely been true since the end of August but with the exception of West Brom, no side has beaten Leeds easily either. Bielsa’s reputation and his El Loco nickname was built on his determination to attack at will and to do so with off-the-wall, unorthodox formations but United’s goalscoring has been no more important to him than an increasingly striking defensive record. The club’s clean sheet at Bramall Lane was their ninth of the season, the second-highest tally in the Championship behind Middlesbrough. Even Middlesbrough, with Tony Pulis’ defensive nous, have not been able to match Leeds’ total of five concessions in nine home matches. Bielsa remarked last month that “it is often said that the best form of defence is attack” – timed a little unfortunately two days before a 4-1 thrashing at West Brom – and a tactical plan which has dominance of possession as its bottom line is giving United ample protection and allowing Bielsa to ride the loss of key defenders to injury. Leeds, to date, have conceded fewer efforts on goal than any other side in the division, below 10 a game. Leeds United's Pablo Hernandez celebrates with Jack Clarke at Bramall Lane. To a degree, however, the Championship is still too tight to predict. Norwich City’s streak of wins is outshining everyone and while Leeds hold a five-point advantage over Derby County in seventh and an eight-point cushion over Aston Villa in eighth, Villa dismantled Middlesbrough at The Riverside last weekend and are starting to find their rhythm. “Everyone’s waiting for Christmas time,” United midfielder Mateusz Klich said last week. “After Christmas and January I think we can talk about it because it’s easier to know then. “It’s very tight and that isn’t changing but we’re in the top six, we want to go up and we’ll do everything to achieve this.” With 20 games gone and Christmas on the horizon, the numbers are on their side.